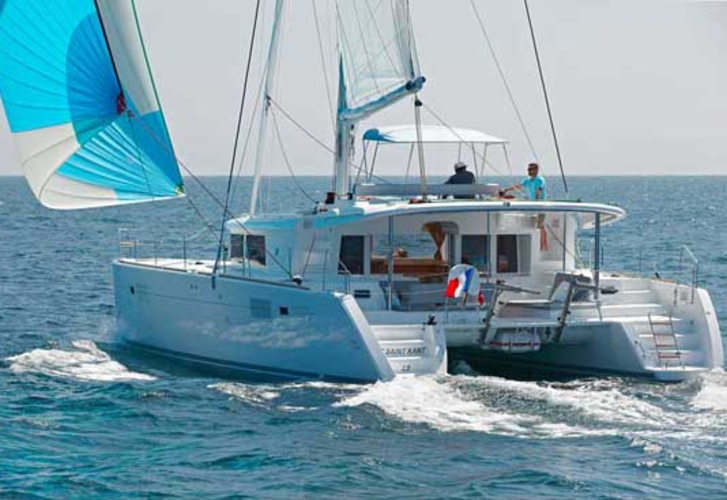 Xcape- DRAFT BEER ON BOARD FOR FREE is a name of sailboat Lagoon 450 ,which has been manufactured in 2019. 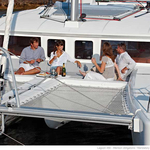 You can charter this boat from port San Gregorio in area of Sicily. 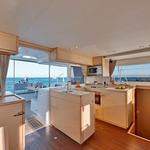 Xcape- DRAFT BEER ON BOARD FOR FREE is equipped with 12 berths. 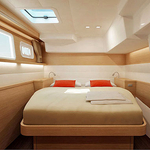 Beds on the boat are arranged in 12 (8+2+2) scheme. 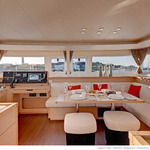 6 bedrooms are situated inside the yacht Xcape- DRAFT BEER ON BOARD FOR FREE. 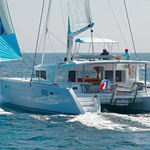 Search for more offers by navigating to this section: Catamarans Sicily. 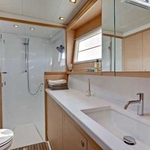 Passengers can feel comfortable on this sailboat , because there are 4 toilettes with showers for their disposal. Xcape- DRAFT BEER ON BOARD FOR FREE is powered by motor 57. Vessel's dimensions are: LOA - 13.95 m , beam - 7.84 m and 1.3 m of depth. On the boat you will find following equipment: Internet Wi-Fi, Gps plotter, Gps, Autopilot, Radar, Plotter gps in cockpit, Flybridge, Bimini top, Dinghy, Anchor electric windlass, Teak cockpit, Electric winch, Barbecue, Radio / cd player, Air conditioning, TV, Water maker, Heating, Coffee machine, generator, Inverter 12v-220v, Mainsail with lazy jack, Microwave, Wc pump electrical, Outboard engine, Fishing tackle, Canoe. . Deposit accounts for 0.00 EUR. 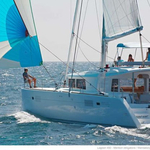 In our search engine you can effortlessly check avalailability of sailboat Xcape- DRAFT BEER ON BOARD FOR FREE from San Gregorio by moving to this section: Catamarans Italy.